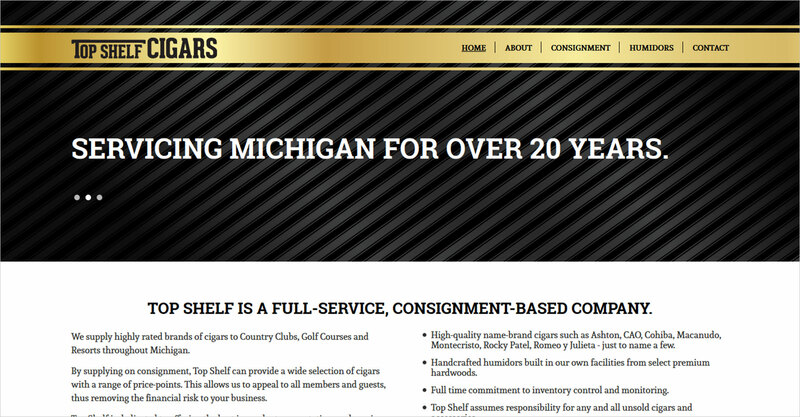 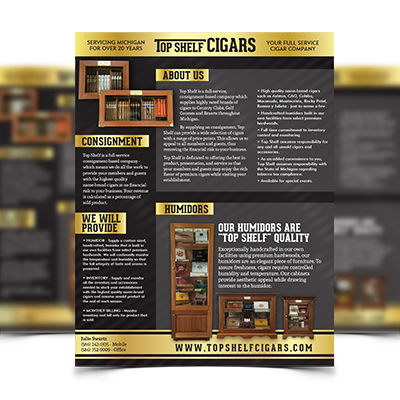 Top Shelf Cigars is a cigar consignment company located in Romeo, MI. 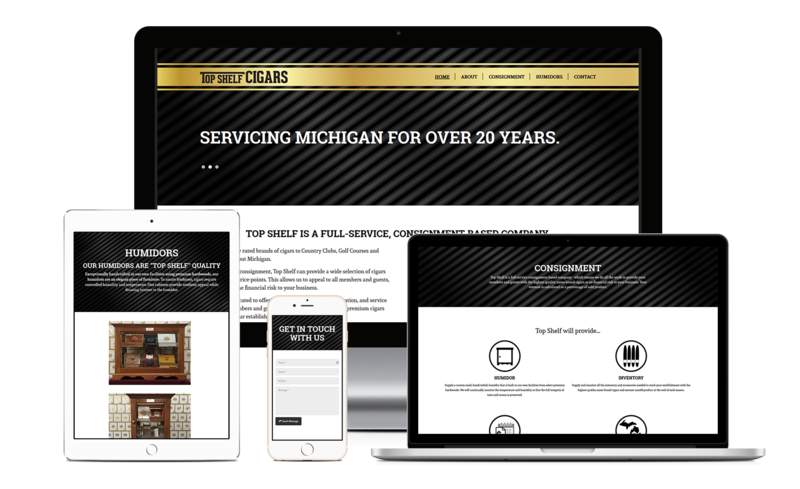 This HTML website was built with the Timber theme from GT3themes and included custom graphics and a contact form. 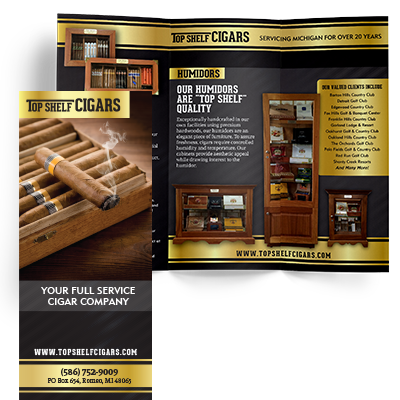 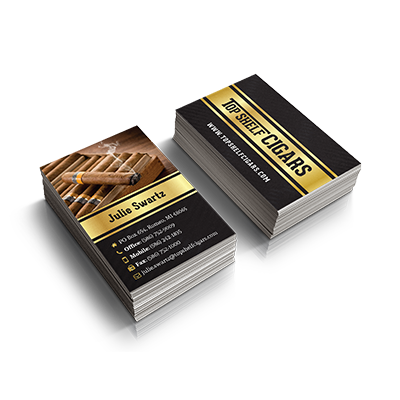 We also prepared a flyer, a tri-fold brochure, and business cards for them.